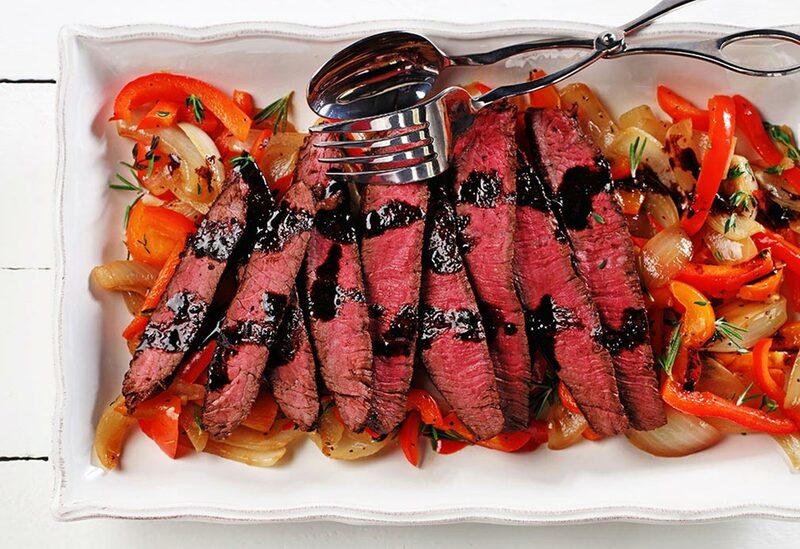 This juicy and lean seared sirloin steak is coated with a sublime balsamic and tequila glaze and set over caramelized onions and red peppers. 1. In small saucepan, combine balsamic vinegar, tequila and sugar. Heat over medium-high heat, bring to a boil and reduce by half. 2. In large non-stick skillet, heat 2 Tbsp (30 mL) canola oil over medium heat, add onions and sauté until golden brown. Then add garlic, red peppers and herbs and sauté until peppers are tender. Season with salt and pepper. Remove from skillet and transfer to warm plate. 3. Return skillet back to medium-high heat. Add 2 Tbsp (30 mL) canola oil and steak. Sauté until brown on all sides and cooked until desired doneness. Remove steak and cover loosely with foil. Add red wine to skillet and cook until reduced by half. Add balsamic tequila reduction and steak back to sauce; season with salt and pepper. Divide onion and red pepper mixture onto warm serving platter. Slice steak and arrange on top. Drizzle any remaining sauce over steak. Serve immediately. Looking for something more exotic than the standard fare of burgers and steaks for Father’s Day? 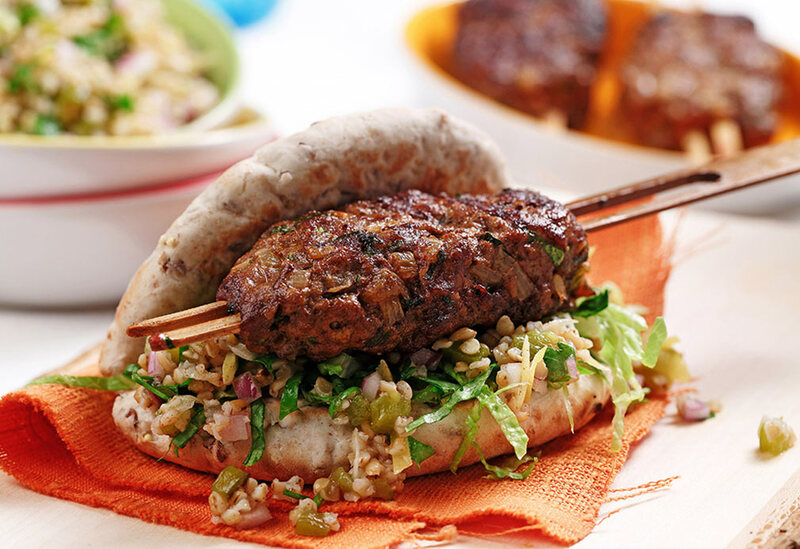 Here are some mildly spiced and aromatic kebabs for your barbecue. Pair them with a roasted pepper-lemon tabbouleh and pita bread and these kebabs will be a hit! Canola oil’s mild taste won’t interfere with the dish’s bevy of fresh herbs and spices. Lime, garlic and chilies are ingredients synonymous with Mexico. 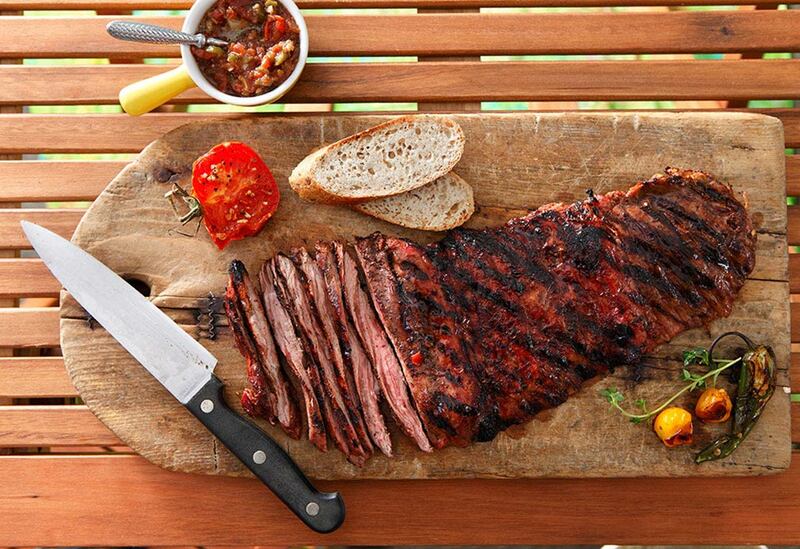 Skirt steak is the cut of beef mainly used in fajitas and renowned for its flavor. Combined, these ingredients yield a dish that sizzles with earthy goodness. 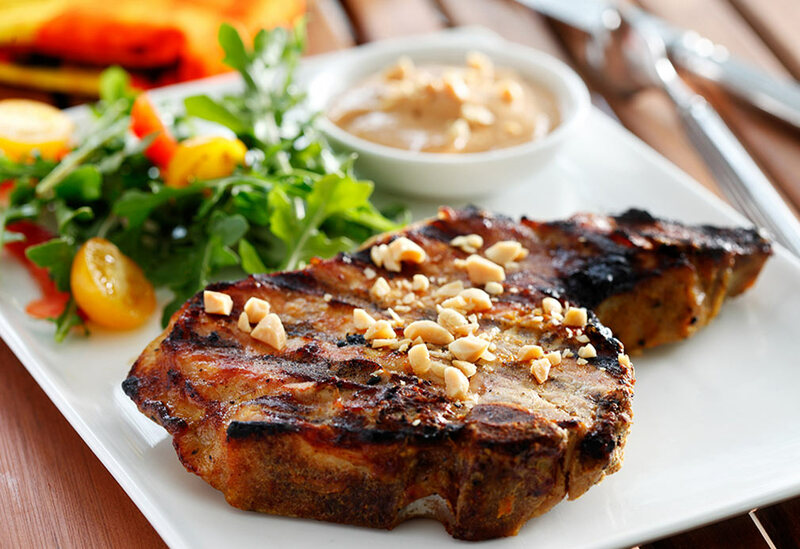 Using canola oil in the marinade augments the spicy flavors and tenderness of the beef.